Always start with a readiness assessment. One of the most important practices in Agile Software Development is reviewing and assessing constantly. I don’t think it’s right that you make the mistake of implementing Agile without a proper assessment of your company or organization. How ready are you for a change and how painful is it going to be? 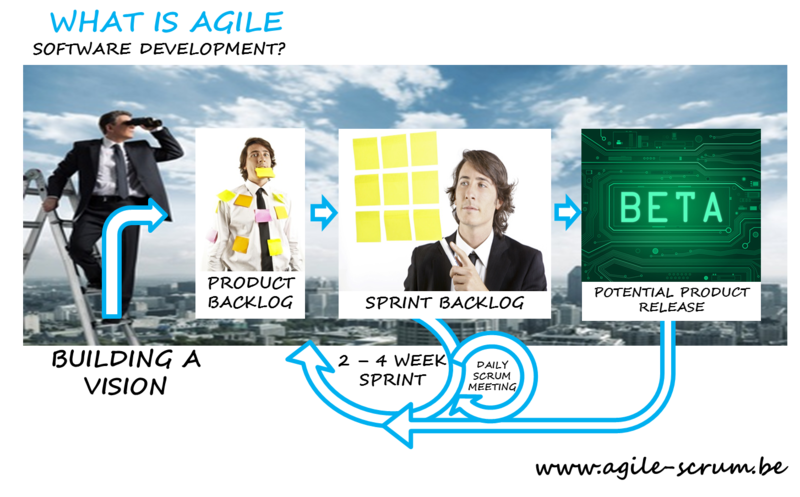 Why should you even move to Agile? Create a rationale and make sure everyone who is going to be involved in the change shares the same urgency and desire. Don’t start with fragile agile. The whole Agile Software Development paradigm is a reaction to the traditional waterfall perspective. Mixing those two up isn’t going to create transformational change. Commit to the change. Educate the nosayers. A pilot project is the best way to start implementing Agile. The company employees and partners who resist Agile need to see the myths dispelled and see that it’s a learning process and that improvements are always happening. The ones who resist the change are your future Agile team members and stakeholders. Use the ‘or else’ approach. While you don’t want to create the atmosphere of fear, you want to make people understand the risks of not using Agile Software Development. For example, sell the risk of solo programming instead of the advantages of pair programming. Agile Software Development can be a great solution to the risk you present. Tell executives that Agile creates value. Essentially, businesses want to hear that you’re going to add value, cut costs and make everything more efficient. Even if they’re set in their ways and are familiar with an older process, learning that Agile Software Development is good for business gets them on board. Engage the entire organization. One of the great things about Agile is that there is a role for everyone and that these roles are so important that you should not deviate. Make sure that the executives, managers, supervisors, customers, experts and writers are all involved so they feel part of the new system. Your pilot project should be big. Agile Software Development can be scaled to any project. When you choose a big one, you get more people involved, you start the improvement and development process on a large scale at once. But if you start big, make sure you put all the support you can behind it. You might need to train the whole firm but it’s the only way to make Agile work. Use metrics ruthlessly. I think that a lot of companies aren’t using the right metrics or measuring correctly. You may have to bring in an expert on this one. If you do, this just adds more credibility to the change to Agile Software Development since a third party measures the progress, cut costs and value. You can also think of this as a job security move. Fail fast just like any good innovation. It’s important that you see problems as quickly as you can. This way, you can move on to incremental changes that do work instead of testing something that doesn’t work and developing anti-patterns. In the end, moving to Agile Software Development from the traditional waterfall methodology is going to be painful and rewarding—just like a health and wellness program. It ultimately makes your company or organization a healthier organism. 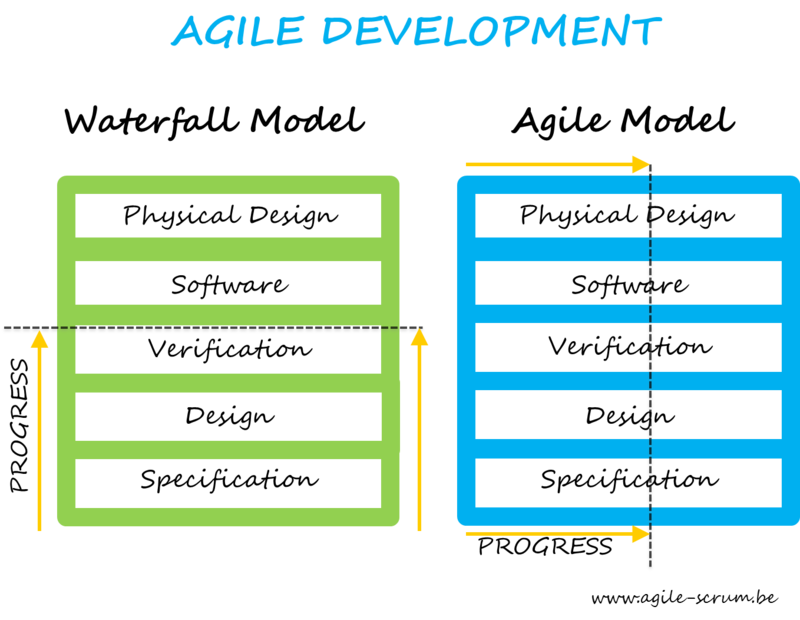 If you want to learn more about this topic we invite you to read this article : What is Agile Software Development ?